Pamela J. 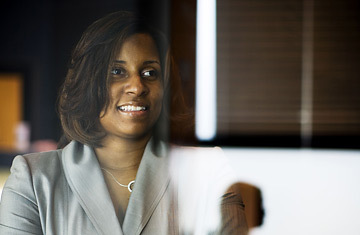 Hall, Service Segment Leader Maternal Infant Care for GE Healthcare in her office in Laurel, Maryland on April 23, 2007. Some decades ago, the powers that be declared that employee diversity was a good thing, as desirable as double-digit profit margins. It's proving just as difficult to achieve. Companies try all sorts of things to attract and promote minorities and women. They hire organizational psychologists. They staff booths at diversity fairs. They host dim-sum brunches and salsa nights. The most popular--and expensive--approach is diversity training, or workshops to teach executives to embrace the benefits of a diverse staff. Too bad it doesn't work.